This is a rectangular flange Indian Head Overalls porcelain sign. This particular Indian Head Overalls sign is black with white text. 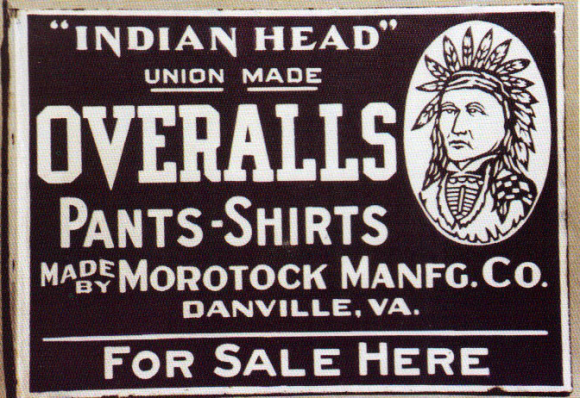 It reads, “Indian Head, Union Made Overalls, Pants-Shirts, Made by Morotock Manfg. Co. Danville, VA., For Sale Here” and features an Indian Head in the upper right corner.